15/16 x 7 1/8 x 11 in. 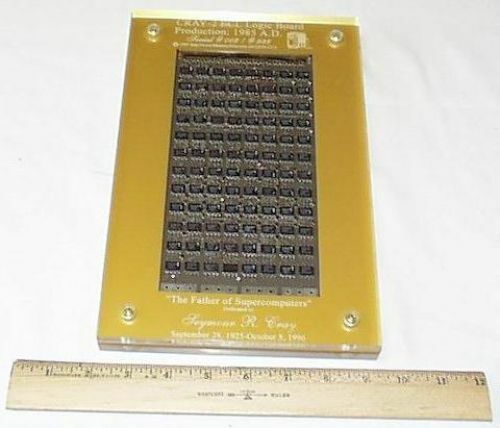 Object is a circuit board mounted in a commemorative Lucite frame. 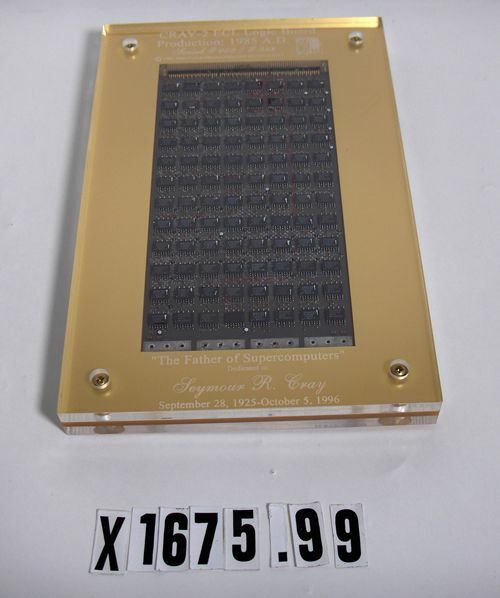 Text at top reads "CrAY-2 ECL Logic Board / Production: 1985 A.D. / Serial #002/#998 / Copyright 1997 Memorabilia.com" Text at bottom reads: "The Father of Super Computers" Dedicated to Seymour R. Cray September 28, 19 - October 5, 1996"